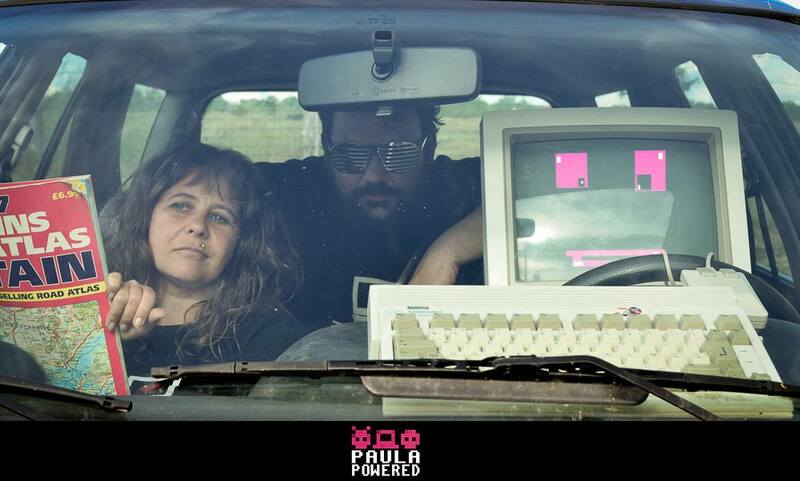 If you have no idea of what is Digital Punk, that mean you don’t know the PAULA POWERED. PAULA POWERED is a Britanno Franco Digital’s band. 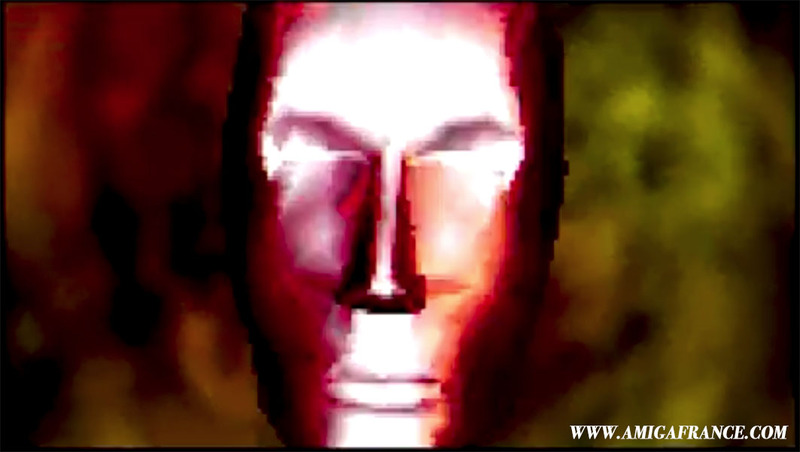 The group consists of « Sally Ann » (singer), « Sylvain de St Pierre » (Guitar and programming) and « A12 », a Commodore Amiga 1200 (bass, percussion, …). A few days before the release of their very first CD, a 5 titles EP named « LEVEL UP », we collected their comments for you. Tell us a bit about yourselves – your human and musical meeting. Sylvain : Sally Ann used to present an indie rock radio show. Having listened to a demo that I sent her, she asked if I’d like to make music with her. Seeing how I’d been wanting to make music with a bona fide English person for some time, I jumped at the occasion. Sally Ann : We realised very quickly that we needed to work together as we are both as stubborn as the other! Did you have other music projects before PAULA POWERED? Sylvain : Oh yes, several … I’ve done rock, electro and … French chanson (it’s my sensitive side). Sally Ann : Music has always been important in my life but my journey was very different to that of Sylvain: He is self-taught and has always played in music groups whereas for me it was music school, choirs, jamming sessions with friends. How did the PAULA POWERED adventure start? 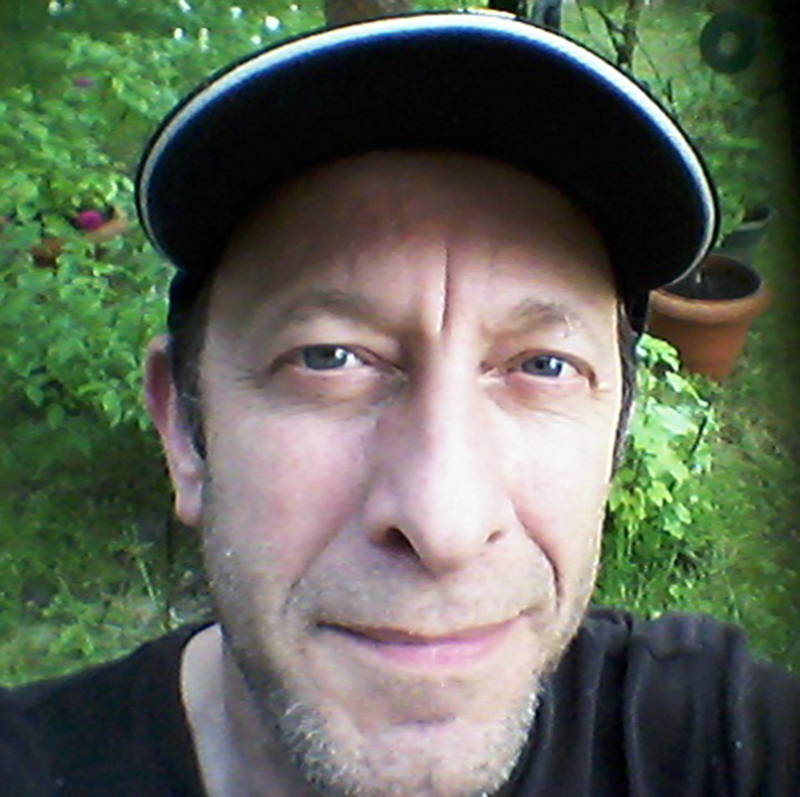 Sylvain : When looking for the type of music we could do, I lifted the dust sheet that covered my Amiga 1200 in my home studio and said to myself “emm, perhaps we could do something with this…”. Sally Ann : For me, the starting point was when we decided and started to combine our two very different worlds to create a single universe where each of was free to express ourself and in complete confidence. 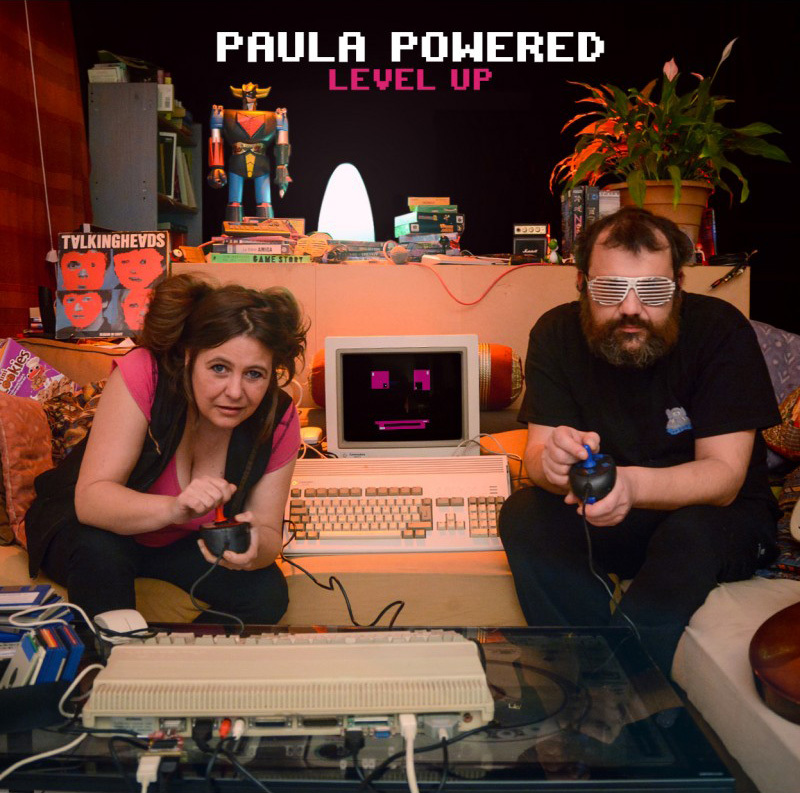 Is PAULA POWERED solely a passionate project or do you hope that one day you can live off it 100%? Sylvain : What a complicated question … music is my entire life, I get up, go to bed, take my shower thinking about it. It’s, I believe, what I do best. However in today’s world, it has become very difficult to live solely with one music project. 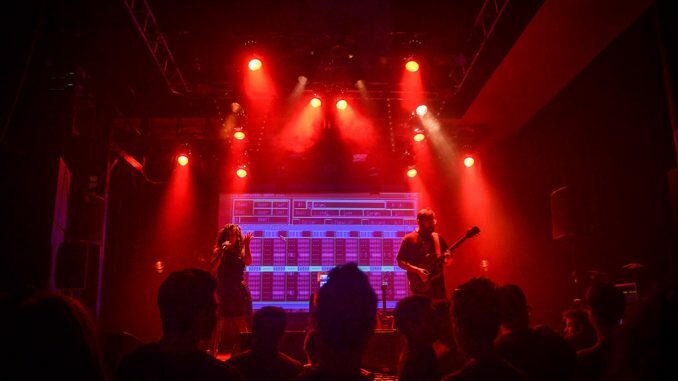 What is certain is that we are convinced (and each of our concerts prove this) that PAULA POWERED is not just for geeks and that those who like indie rock are likely to enjoy our music. Our potential audience is therefore much wider than just Amiga enthusiasts. Did you chose the Amiga for practical reasons or was it a real technical choice over other machines such as the Commodore 64, for example, with its famous SID so appreciated by the Chiptune scene ? Sylvain : The Amiga (500) was the first computer that I owned. And, I was immediately impressed by its sound. Then, when I started making electronic music (in 1999), I so wanted to include these sounds that had made me dream that, a few years later, I ended up buying a 1200. During this same period, I became interested in other machines and bought a C64, as it happens, and it’s true that it sounds wicked. However, the Amiga and its evolved OS and multi-tasking, its PCMCIA port for uploading files direct from the internet made it more accessible. Also, one thing that isn’t promoted enough is that for its generation it was one of the cheapest samplers on the market, and able to sequence as well! It’s all well and good to say that the Atari ST was perfect for music, but the truth is you had to be Laurent Voulzy or Jean-Michel Jarre in order to pay for all the needed support material! With solely an Amiga, no matter who had the technical means to compose quality music. Sally Ann : Sylvain and A12 make such a formidable team that I wouldn’t change a thing. Since I got to know the Amiga and the sound of Paula, I have remained seduced and convinced that the 3 of us have found our path. 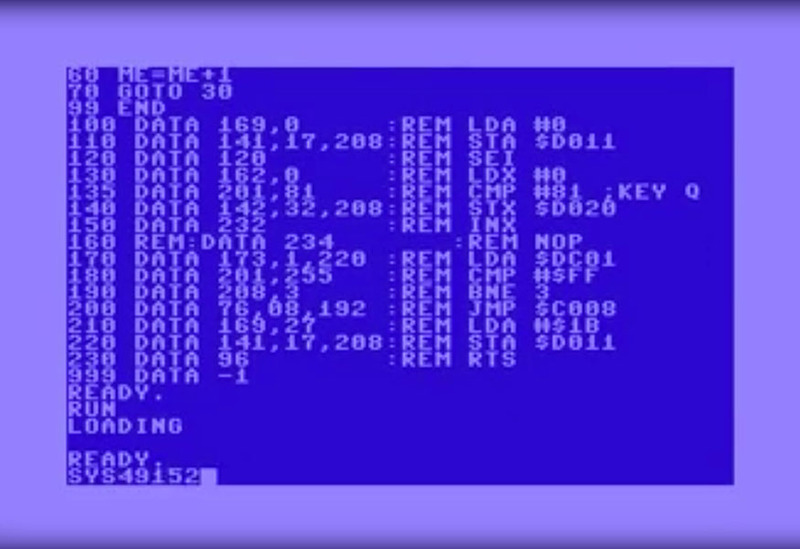 Outside of the Amiga circle, does your audience understand who A12 is and why he’s there??? Sylvain : On stage, A12 is between the two of us, slightly further back – in the drummer’s place. With the program Scala, we have been able to give him a face … and, with his deliciously vintage look, everyone understands that we are playing electro with an antique. In fact, seeing how everyone uses IT today (everyone is a bit geek), people are impressed to see this machine playing music and displaying animated images on a video projector. 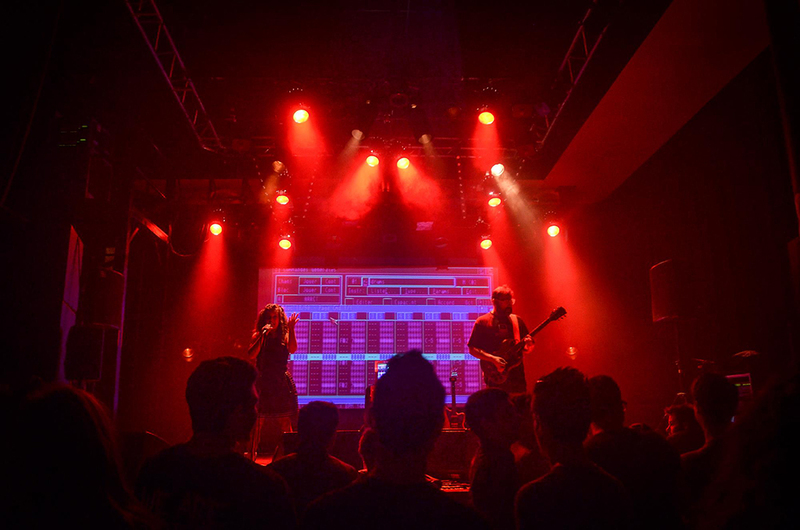 From the sound technician’s point of view, they are glad to work with something other than a Mac and the same-old programs. Sally Ann : I’m just going to add that the general public are impressed by the Amiga’s capacities once they have understood that it’s the Amiga doing everything! Because, certain people think that A12 is just a stage prop. Wherever possible, we put an Amiga on our merchandising stand so that the public gets a look close-up. One thing is certain, when they see the Amiga, they often have a nostalgic look in their eyes! Six years since you began, “LEVEL UP”, your first 5-title CD EP is at the point of release. Why have you waited for 6 years and, more importantly, what’s in store for us? Sally Ann : Six years might seem long. However, we do everything ourselves and had a journey to make before arriving at this point. For us, this CD is a way of closing our first cycle: It’s called “LEVEL UP” for a very good reason! Except “Wish Command”, the four other titles are already available either on a download card or, since January 2016, on our Bandcamp page. There was also the 3-title Pix’n Love CD last year. BUT, what’s new is that ALL the titles have been re-recorded, re-mixed and mastered in order to show how our sound has evolved. Our fans have been begging us for a CD for some time now … it’ll be available from 1st May 2017. We would like to publicly thank Laurent and Franck of Amedia Computers as without their generous donation, this CD would have taken even longer to realise. Where can we buy the CD ? Sally Ann : Where we are, the CDs will be with us! The CD will be on sale on our Bandcamp page (with download included at the time of order) and directly from us with a paypal payment. Amedia Computers will have some in stock and we are currently looking for other physical distribution partners. “LEVEL UP” will also be available on over 150 digital distribution and streaming platforms (iTunes, Google Play, Deezer, Spotify etc). So, normally, we will be easy to find from 1st May. If I asked you to go forward in time, talk to me about PAULA POWERED in 5 or 10 years time. Sylvain : We dream of having a real Amiga band with an Amiga drummer, Amiga bassist, Amiga keyboardist … playing and replying to each other. We’d also like to collaborate with developers in order to cover specific requirements. 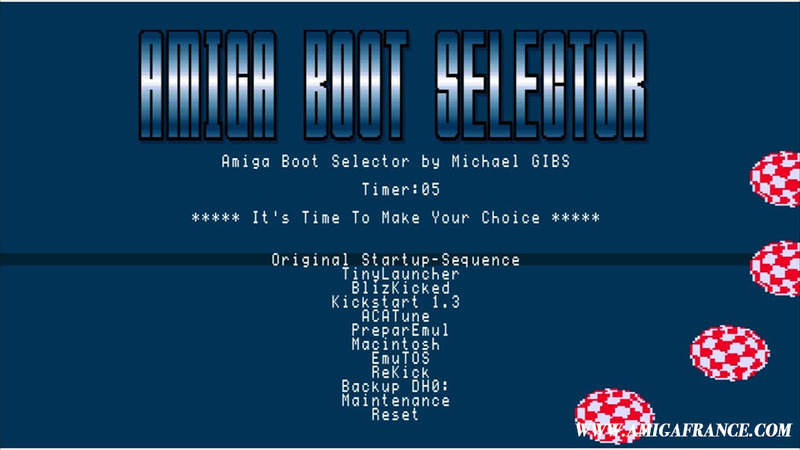 At the end of the day, we haven’t yet reached the full potential of this magical tool that is the Amiga. Sally Ann : Up until now, we have been on a journey that wasn’t even imaginable at the beginning. Honestly, I don’t know what to say except that I hope with all my heart that in 5 or 10 years, PAULA POWERED will still be a reality, giving us as much pleasure and freedom as it does today. Sally Ann : I could tell you about a particular “pickle” incident that happened in the small hours of the morning at the last Alchimie … but, I promised my partner in crime to never mention it! When we recorded the very first version of Hazy Crazy, I had a cold, it was 1am and we’d been drinking whiskey. The resonance of my voice was perfect! It’s taken me years to learn how to do the same voice without a cold, nor fatigue, nor under the influence of alcohol! Sylvain : Since we started going to demoparties, Sally Ann has realised that I’m not the world’s loudest snorer … I now feel less guilty. Sylvain : At times, I’m saddened when I see our community tearing itself up as it is want. Imagine the noob that comes to us for advice and falls across certain threads? Everyone is free to have an opinion, but respect is often lacking. So, my advice would be: create rather than criticise. We all have something to bring to the Amiga: Code, design, compose music, write articles, help others … it’s only by doing this that our favourite platform will stay alive for years to come. 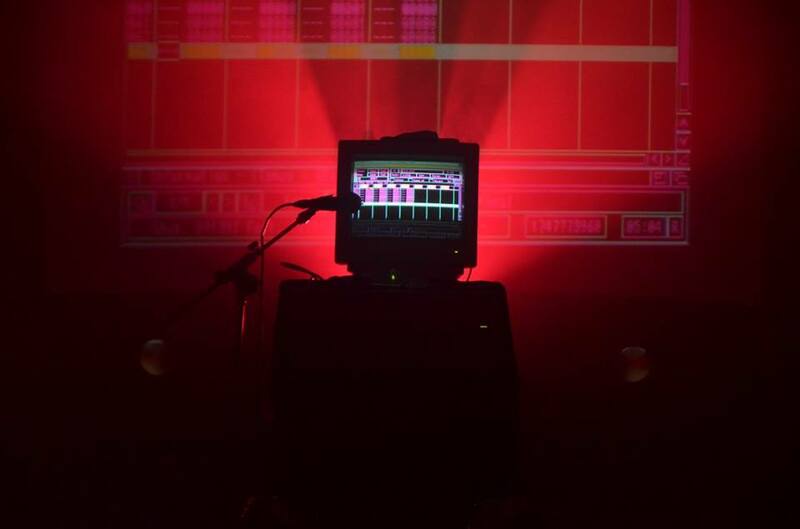 For my part, of all the machines for making music, the Amiga is that which inspires me the most. Sally Ann : It’s already over??? I’d like to thank all those who have supported, encouraged and offered us their friendship since we launched the PAULA POWERED adventure. Without the French (and international) Amiga community, we wouldn’t be where we are today. I could write a very very long list of names … but, you know who you are!! THANK YOU and je vous aime tous! 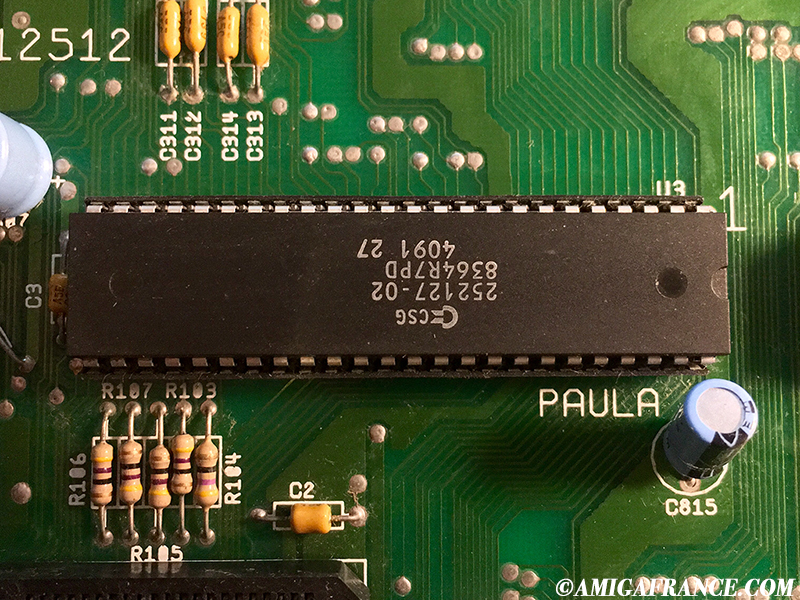 If you want to know more about the Amiga’s audio chip you can read (in french) this « Paula » audio chip review. Thank’s to Sally for the French/English translation. Ce sujet a 1 réponse, 2 participants et a été mis à jour par ryosaeba, il y a 1 an et 11 mois.